Just a continuation of my post from last night. 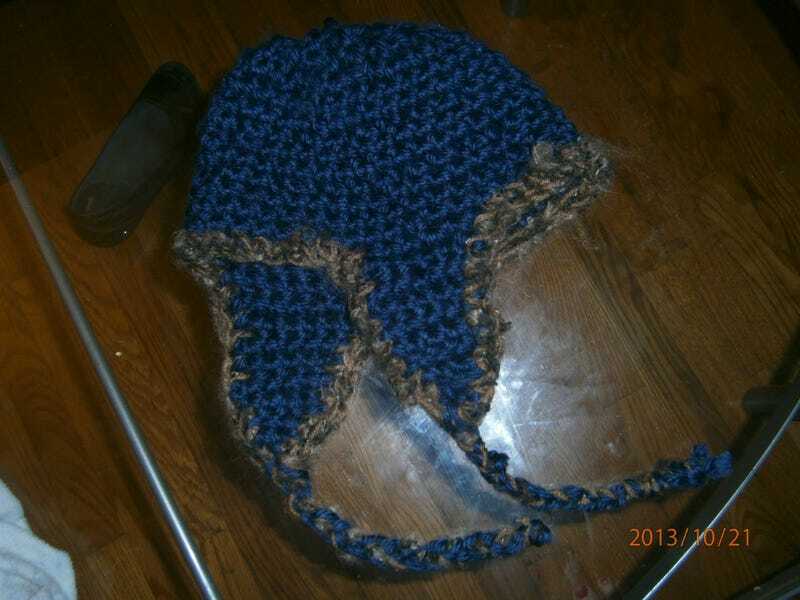 My first crocheted hat! It was meant for my son but it's slightly too big for a toddler. My husband has a very small head and so with a couple fittings, it stretched out for him. Slightly junky in the super chunky acrylic with some flaws but it's neat enough to wear. I'm super excited to go home and craft some more. I can't wait to try out some new stuff.